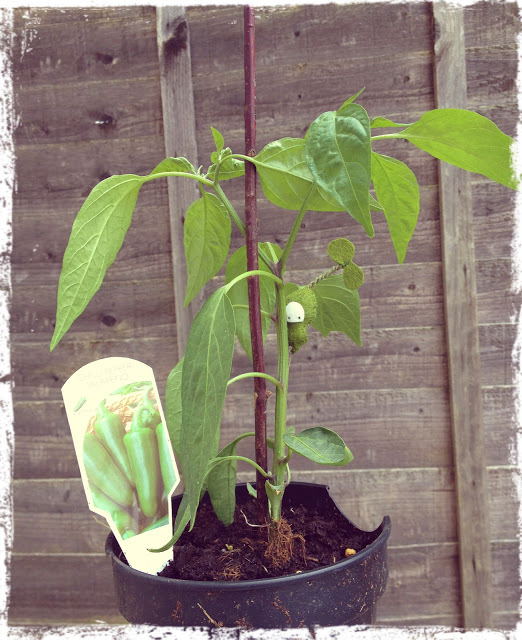 My Dad came round last week with a baby Jalapeño plant in his arms, just for me! I like spice and I do add jalapeños to a lot of dishes, so to have my own is superb! I thought I would show you a photo of my new plant and I will let you know if/when I get my first jalapeños (oh and there’s a little Seedling in there too).